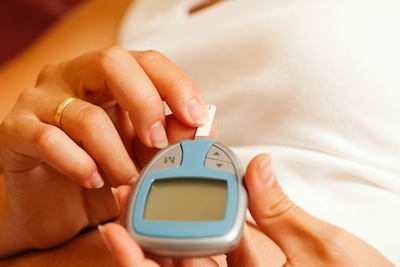 Pregnant women with a family history of type 2 diabetes are at increased risk of developing gestational diabetes. Researchers from the University of Messina, Italy, recently published a study in the journal Diabetes Care on the effects of myo-inositol for gestational diabetes prevention. The study collected information from pregnant women for two years. Women were given one of two treatment protocols from the end of the first trimester to birth. The two treatments were 2 grams (g) myo-inositol with 200 micrograms (mcg) twice daily or 200 mcg of folic acid twice daily. While gestational diabetes was the purpose of the study, researchers also noted macrosomia, high blood pressure, premature delivery, C-section, neonatal high blood pressure, shoulder dystocia and neonatal distress. Conclusion: Only 6% of the myo-inositol group was diagnosed with gestational diabetes compared to more than 15% of the folic acid or placebo group. Instances of macrosomia also reduced in the study group. The groups did not significantly differ when other secondary outcomes were recorded. D'Anna R, Scilipoti A, Giordano D, Caruso C, Cannata ML, Interdonato ML, Corrado F, Di Benedetto A. myo-Inositol Supplementation and Onset of Gestational Diabetes Mellitus in Pregnant Women With a Family History of Type 2 Diabetes: A prospective, randomized, placebo-controlled study. Diabetes Care. 2013 Jan 22.